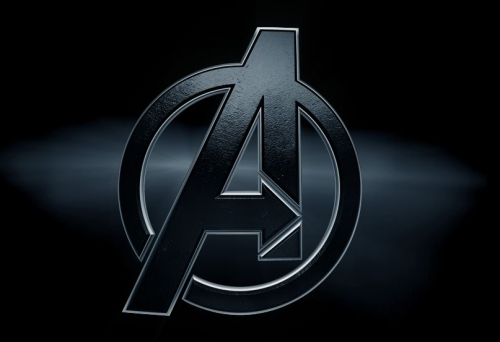 An unofficial blog following The Avengers movie adaptation with a May 4th 2012 release. 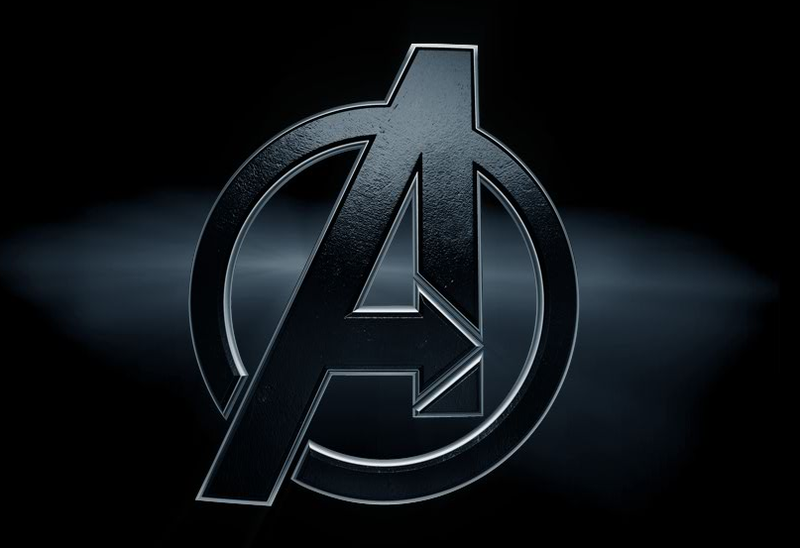 Super­hero Hype have learnt that The Avengers is set to start film­ing in Feb­ru­ary 2011, to meet a May 4th 2012 release date. Shoot­ing loca­tions haven’t been revealed, but LA is a good guess. A fan has cre­ated a teaser trailer for a fic­ti­tious 1950s ver­sion of The Avengers. Com­bin­ing clas­sic sci-fi movie clips, this mash-up is a worth­while watch. Noth­ing more than the logo and Nick Fury’s voice over on this short trailer from this year’s Comic-con, but it does bring a lit­tle buzz of excitement. A mem­ber of the audi­ence at SDCC cap­tured the com­plete Joss Wheon Expe­ri­ence on video and kindly upload it all to YouTube — not a huge amount on The Avengers, but worth a watch. We’ve embed­ded a playlist below. Whe­don has also been talk­ing to MTV about cast­ing Mark Ruf­falo as Bruce Ban­ner and Jeremy Ren­ner as Hawkeye. The thing about Hawk­eye, he’s got his bows and arrows, you need some­body who’s very very down to earth, who’s very grounded, and who’s going to be the kind of guy who, you see him, and you under­stand why he likes to be far away from things and then shoot at them. Mark was my first and only choice for Bruce Ban­ner. I’m stunned that we landed that, just stunned. He has what I remem­ber lov­ing about the show, that qual­ity of, you just look at him and you go through it with him, he invites you in in a way that [no] other per­former has since Bill Bixby. He is a guy who’s been beaten up by life, but not defined by that. That’s what I want from Bruce Ban­ner, is a guy who’s still get­ting it done, even though he has his problem. 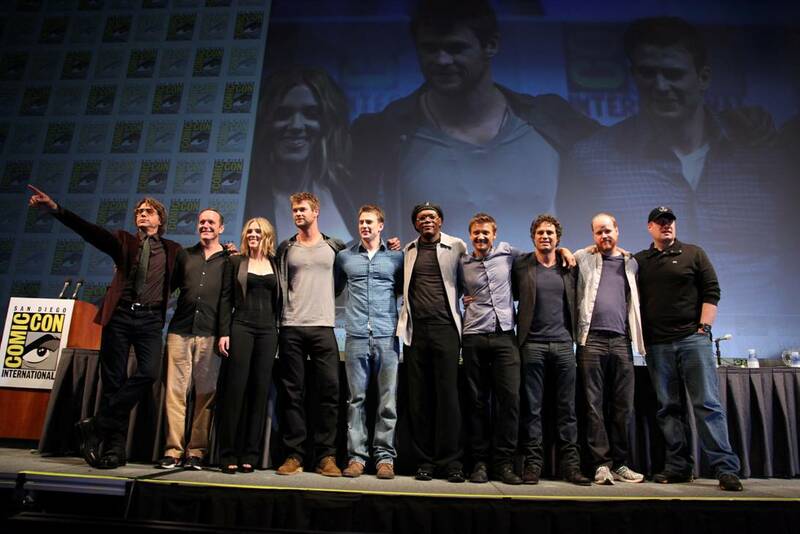 Two videos of the on-stage Avengers get together are now online. Watch them if you want to be part of the pal­pa­ble excite­ment of see­ing the cast together for the first time. 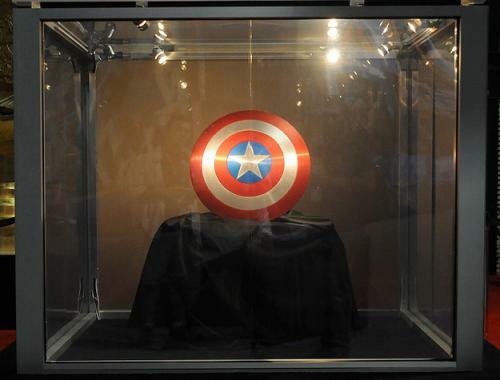 Mar­vel have two more sur­prises for their fans, post-Avengers panel, on the shop floor are two new props — Cap­tain America’s shield and the Infin­ity Gaunt­let from Thor, which can be used in com­bi­na­tion with the Inifin­ity gems to gain com­plete con­trol of the universe. 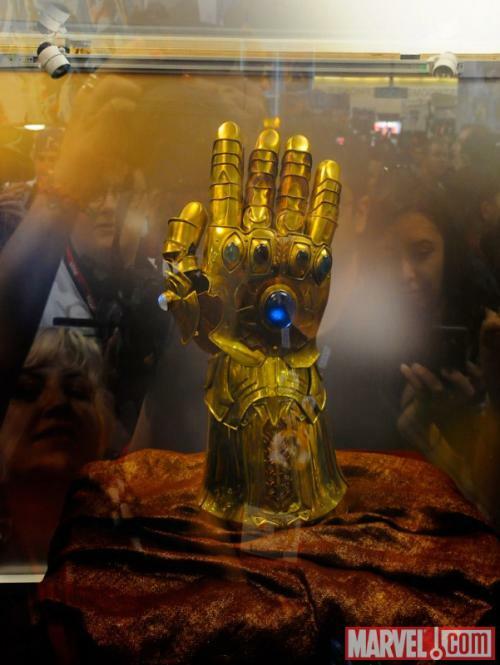 Thanos mounts the six Infin­ity Gems, (col­lected in the The Thanos Quest lim­ited series), on his left glove to form the Infin­ity Gaunt­let, the focus of the title of the series. Each Gem grants its bearer com­plete mas­tery over one aspect of the uni­verse: Time, Space, Mind, Soul, Real­ity, and Power. /Film more impor­tantly point out that, in the comics, Loki tries to attain the power of the gaunt­let, by steal­ing the infin­ity gems. He also seeks the Cos­mic Cube, which has been ref­er­enced in the Cap­tain Amer­ica footage; which would be a nice movie crossover prior to The Avengers. This ulti­mate power and cross-film vil­lain makes a very strong case for Loki being The Avengers main vil­lain. Thanos remains a strong pos­si­bil­ity, as he too sought the cos­mic cube. At the end of the Thor panel at SDCC, Kevin Feige dimmed the stage and a large ‘A’ appeared on screen, with the voice-over of Samuel L. Jack­son as Nick Fury explain­ing the for­ma­tion of the world’s biggest super hero team. Then Jack­son came on stage and intro­duced the cast, one by one. 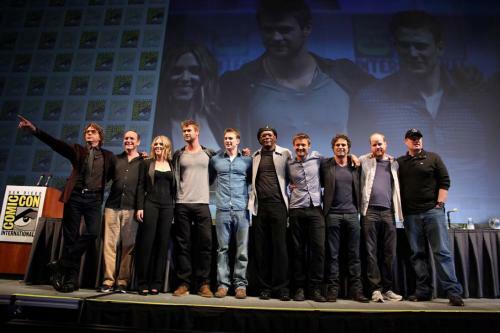 The pic­ture, from left to right: Robert Downey Jr. (Iron man), Clark Gregg (Agent Coul­son), Scar­lett Johans­son (Black Widow), Chris Hemsworth (Thor), Chris Evans (Cap­tain Amer­ica), Samuel L. Jack­son (Nick Fury), Jeremy Ren­ner (Hawk­eye), Mark Ruf­falo (Bruce Ban­ner), direc­tor Joss Whe­don and pro­ducer Kevin Feige. 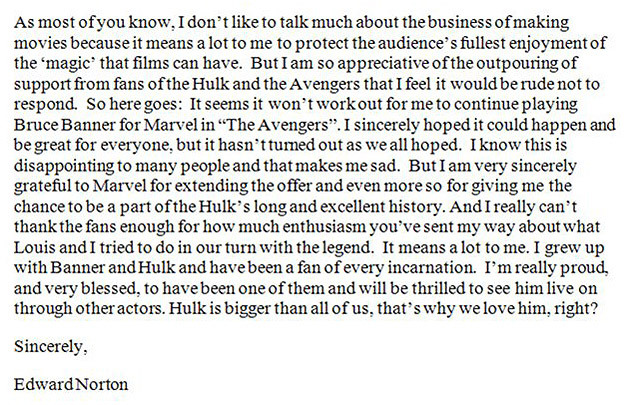 At this year’s SDCC Joss Whe­don, whilst on stage with J.J.Abrams, offi­cially con­firmed that he will be helm­ing the Avengers movie adap­ta­tion, set for release in 2012. The movie is still in the out­line phase and in the process of rework­ing the story. In other news, Nathan Fil­lion will NOT be play­ing Ant Man in the adap­ta­tion, Whe­don jok­ingly announced Fil­lion would be play­ing the role, but that Ant Man wouldn’t be in the film. All very confusing. More solidly, Whe­don has con­firmed that Jeremy Ren­ner will be tak­ing on the role of Hawkeye. Ed Nor­ton will not be play­ing Bruce Ban­ner in the upcom­ing Avengers movie. He would have joined Robert Downey Jr., Scar­lett Johans­son, Samuel L. Jack­son as Nick Fury, Chris Hemsworth as Thor and Chris Evans as Cap­tain America. This offen­sive state­ment from Kevin Feige at Mar­vel is a pur­pose­fully mis­lead­ing, inap­pro­pri­ate attempt to paint our client in a neg­a­tive light. Here are the facts: two months ago, Kevin called me and said he wanted Edward to reprise the role of Bruce Ban­ner in The Avengers. He told me it would be his fan­tasy to bring Edward on stage with the rest of the cast at Comi­Con and make it the event of the con­ven­tion. When I said that Edward was def­i­nitely open to this idea, Kevin was very excited and we agreed that Edward should meet with Joss Whe­don to dis­cuss the project. Edward and Joss had a very good meet­ing (con­firmed by Feige to me) at which Edward said he was enthu­si­as­tic at the prospect of being a part of the ensem­ble cast. Mar­vel sub­se­quently made him a finan­cial offer to be in the film and both sides started nego­ti­at­ing in good faith. This past Wednes­day, after sev­eral weeks of civil, uncon­tentious dis­cus­sions, but before we had come to terms on a deal, a rep­re­sen­ta­tive from Mar­vel called to say they had decided to go in another direc­tion with the part. This seemed to us to be a finan­cial deci­sion but, what­ever the case, it is com­pletely their pre­rog­a­tive, and we accepted their deci­sion with no hard feelings. We know a lot of fans have voiced their pub­lic dis­ap­point­ment with this result, but this is no excuse for Feige’s mean spir­ited, accusatory com­ments. Counter to what Kevin implies here, Edward was look­ing for­ward to the oppor­tu­nity to work with Joss and the other actors in the Avengers cast, many of whom are per­sonal friends of his. Feige’s state­ment is unpro­fes­sional, disin­gen­u­ous and clearly defam­a­tory. Mr. Nor­ton tal­ent, tire­less work ethic and pro­fes­sional integrity deserve more respect, and so do Marvel’s fans.